A bit of a departure from my moisture related topics this week. I attended a conference in Sheffield with the title “Quality: Fuelling Growth – Reducing Risk”. Of course, I cannot write on my blog without at some point mentioning humidity, and Sheffield nicely obliged with a humid conference room. In this post for my blog I thought I would quickly run through the speakers and topics at the conference. My reason for writing about the conference is simple. All the presenters and the people organising the conference gave their time for free to support a local charity “The Children’s Hospital Charity”. I really liked the idea of hosting a conference and giving the proceeds from the conference to an excellent cause. Over £5000 was raised for the charity. Our first speaker gave us a quick overview of how the money from the Children’s Hospital Charity is spent. Tchad Western explained that the buildings and infrastructure for the new Sheffield Children’s Hospital is funded by the NHS. 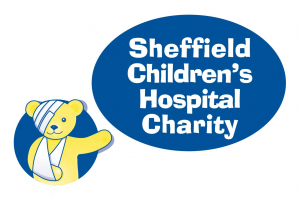 Additional equipment that helps children in hospital is bought through the charity. This does not always mean medical equipment. Studies show that children recover quicker if they have their parents with them during their stay in hospital, which is understandable. But these studies also show that children pick up on the stress of their parents which affects their rate of recovery. By providing ancillary equipment the charity helps make the hospital stay of the parents more relaxed, that has a beneficial knock on effect on the health of their children. We then had a series of talks each allocated 45 mins and we were treated to very good presenters throughout. Not all of the topics were relevant to my subject area, but I enjoyed every talk as they were presented very well. The first talk did have particular relevance for me. David Thompson from Clarity Compliance Solutions talked about the “fear” of computers in his talk “Computer Systems: Risk or reward?” One thing’s for sure, computers are not going away and we will see more systems coming on line under the umbrella of the Internet-of-Things”. My interest here is through my company Relequa Analytical Systems where we have developed a new system for measuring the moisture status of pharmaceutical tablets. Advances in computing power has made it possible for us to rapidly capture and manage humidity data. To my mind it is always the “reward” we should look towards in embracing new technology. The next talk was on medical devices which is a subject I have had little contact with in my long association with the pharmaceutical industry. Martin Todman took us through the implications of some new regulations. One thing that did resonate with me was the importance for manufacturer’s to implement and maintain a Quality Management System (QMS). Naturally, given the subject matter of this blog, I see moisture control as an important part of a pharmaceutical manufacturer’s QMS! There is a special professional qualification that people can attain that puts them in a position of assuring that medicines have been properly manufactured before they are released and used for patients. The qualification is called the Qualified Person (QP). Recently the European regulations governing QPs were updated. Alex Hall give us a different type of presentation on the role of the QP and the risks involved. Why different? Alex structured her talk around a survey of 34 QPs on their perception of the QP role and the update to the regulations. Going through the results gave some great insights into the mind of a QP. Alex is a very proficient and relaxed speaker and a true “expert” in her field. Something to which we can all aspire. Our next speaker was David Preston who drew from 30 years’ experience in quality and technical roles to talk about managing growth of a company. Many different types of changes within a company, including getting bigger, can have an impact on the quality of the product that the company produces. The “growing pains”, as David described them, is all to do with how people within the company perceive the changes. David showed examples of how important the choice of language is when presenting people with new goals. Resistance to change is part of our human psyche and people feel the need to be included. I remember nearly 30 years ago when I moved from Research into Quality and Regulatory Affairs that I was immediately branded “poacher turned gamekeeper” by my colleagues that remained in the laboratory. From the way David described things I’m thinking that there is still a lot of “us and them” attitude to Quality in companies. Encouraging people to see the benefits of a Quality approach and including them in the decision making processes seems to be the key to managing change. The last talk on Quality was given by Kate Krachai the owner of the quality services company Quality Context, who ran the conference. Kate’s topic was on how to be ready when a government inspector knocks on the door to look at your Quality Management System. People working in pharmaceutical Quality have to implement procedures and systems set down in regulations and guidelines. Inspectors working for the government and backed by acts of law, regularly visit companies and inspect their Quality. For my readers that are not familiar with regulatory inspections, it’s like somebody from the revenue coming round and being allowed to look at all your bank statements, credit card transactions, savings accounts and anything else related to your financial affairs. They then go further and look at your life style, how you make spending decisions and keep asking if you are really in control of your income. At the end of the inspection they tell you if they are satisfied or not on the way you are running your life. If you are not up to scratch and fail in too many areas they’ll throw you into prison. Kate presented us with a way of monitoring the status of the Quality Management System within a company. Kate’s advice is to list the parts of the QMS and measure what’s needed to be done for each part to be completed. By giving each stage towards completion a percentage then you can assess if you are up to scratch, or in Quality language, in “compliance”. Good practical advice on how to measure and manage compliance. Sam Perkins from Sheffield Hallam University, which is literally, straight across the road from where the conference was held, talked about collaborations of the university with industry. Sam took us on a trip across Sheffield. Using a computer generated virtual tour we saw the planned Sheffield Hallam University Advanced Wellbeing Research Centre. The AWRC situated in the Sheffield Olympic Legacy Park looks fantastic and will be the most advanced research and development centre for physical activity in the world. Unfortunately the final speaker could not make the conference. This was to be a presentation by a legal expert on the impact of Brexit on the Life-sciences Sector. In its place we had an open discussion on the implications of Brexit. Like myself, most if not all of the people attending the conference will have been working within European pharmaceutical regulations for all of their careers. How that level of legislation can be separated and unpicked for the UK alone is very difficult to see. Since the conference, March 2017 has been announced for triggering Article 50 of the Lisbon Treaty. We are in for a very interesting time in the following months! In my blog I usually write about how humidity and moisture effects everything around us. If you would like to hear more the impact of moisture, please sign up for email alerts of my blogs. Useful background and various topics on moisture and humidity are discussed in my eBook “A Wet Look At Climate Change”.